At Sauce, we are fascinated by how personal the journey is in discovering the perfect signature fragrance and also the transformative nature of scent in general which can transport you back to a specific moment in time. So we asked five inspiring New Zealand women to share their favourite memories with fragrance as well as what emotions the latest scent from Jo Malone London, Honeysuckle & Davana evokes for them personally. 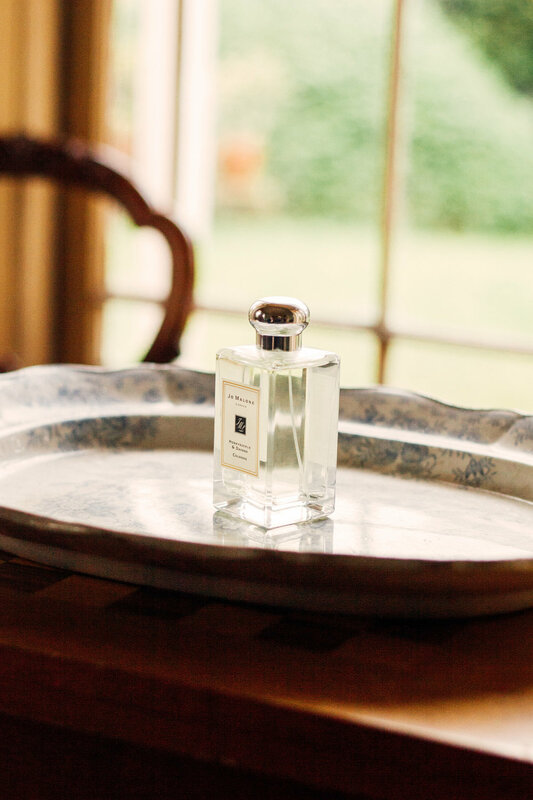 To define the quintessential Jo Malone London woman, inner beauty must shine through; an easy feat for Clare Andrew, whose humble and natural aura is accentuated by her creative soul. Known for her brilliant dinner parties and eye for beautiful photographs whilst travelling the world, the marketing manager and blogger embodies sensibility and elegance- a combination which allows her to freely indulge in creative beauty. Scent is the most sensorial way to create a first impression, what is your favourite spot in the house to light a candle and create a mood? My favourite place to light a candle has to be in the bathroom. I like to turn the lights of, light 3 Jo Malone London candles and place them around the edge of the bath tub. Having a bath by candlelight with the smell of my favourite fragrances is the most indulgent way to relax. That sounds divine Clare! And how do you combine fragrances to create a unique scent? Before bed, I like to moisturise with Jo Malone London Lime, Basil and Mandarin Body Crème. I then spritz one of my favourite Jo Malone London fragrances Red Roses over the top. I love the combination of these two scents together. My favourite fragrance memory is actually also the same moment I discovered the Jo Malone London brand. My parents had been away and my sister and I had been in boarding school for three months. We went to pick them up at the airport and I remember my Mum walking through the gates with this big Jo Malone London bag (this was so long ago that you were still allowed to carry liquids on the plane!) I still remember the scent she bought back for me – Vintage Gardenia. This is the fragrance that made me fall in love with the brand and it is actually only now available in the Regent St Store in London as part of their vintage collection. Do you have a fragrance ritual? Every year during the month of December, I light Jo Malone London Pine and Eucalyptus candles at home. I love Christmas and this makes the house smell so festive! On fragrance combining, what’s your favourite combination with Jo Malone London's latest launch - Honeysuckle & Davana? The Orange Blossom Cologne is one of my longstanding favourites and it pairs so beautifully with Honeysuckle & Davana. I love how fresh the combination is. How does Honeysuckle and Davana make you feel?